Ngati Tahu-Ngati Whaoa lands and resources were held in customary tenure where tribal collective custodianship remained paramount. In the exercise of our rangtiratanga the tribe sought to ensure that very little land within the Ngati Tahu-Ngati Whaoa rohe was permanently alienated. As a tribe, Ngati Tahu-Ngati Whaoa was actively engaged in commerce and trade. Our people had seasonal kainga and cultivations spread throughout our traditional rohe capitalising on micro climates, diverse soils and winter and summer safe areas. Ngati Tahu-Ngati Whaoa claim that prior to the establishment of the Native Land Court, we were essentially autonomous and economically prosperous. Our people produced and sold commodities such as cattle, pigs, duck, vegetables, wheat, oats, potatoes, flax and timber. Our people were also engaged in a range of commercial activities. 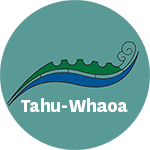 Ngati Tahu-Ngati Whaoa used commodities such as red ochre, kereru, tuna, fish and minerals from our geothermal resources for customary trade with other iwi. Our Responsibility - Ngati Tahu-Ngati Whaoa owns 4,500 hectares (11,000 acres) of land adjacent to the Waikato River between Te Waiheke o Huka and Pohaturoa. Land use across these blocks include: dairying, dry stock, cropping, forestry and geothermal energy generation. These blocks are currently administered by: Ngati Tahu Tribal Trust, Tauhara North Trusts, Tahorakuri Forest Trust, Takapou Farm Trust, Paeroa South Farm Trust and Tutukau East Z Farm Trust. 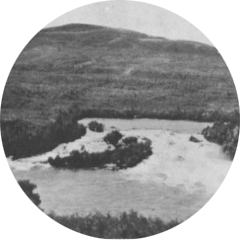 Through the Treaty settlements entered into as part of Te Pumautanga o Te Arawa and the Central North Island Iwi Collective, there is an opportunity for Ngati Tahu-Ngati Whaoa to have our customary lands returned making us one of the largest land owners in the Waikato River catchment. Ngati Tahu-Ngati Whaoa is in a unique position of perpetual, inter-generational land ownership. Activities on the Waiakto River and within its catchment continue to significantly impact on the health and wellbeing of the River. The Native Land Court was established under the Native Land Acts of 1862 and 1865 to determine the owners of Maori land “according to Native Custom” and to convert customary title into title derived from the Crown. The Crown’s pre-emptive right of land purchase was also set aside, enabling Maori to lease and sell their lands with few restrictions. As was often the case in the 1860s there was limited consultation concerning this legislation, and the Crown did not specifically consult Ngati Tahi-Ngati Whaoa. “Great is the pain and grief afflicted us by reason of the Crown. The reason for our pain is that we do not call this land earth, but the flesh and bones of our dead. Gone are the burial sites, gone are the settlements, gone are the cultivations. Sir, great is our pain and grief." Subsequent fragmentation and alienation of Ngati Tahu-Ngati Whaoa Lands contributed to the erosion of our traditional tribal structures, our economic independence and the social fabric of our tribe. Land loss caused great pain and grief to our people and a sense of that grievance was illustrated in a letter submitted to the Crown by Kamariera Heretaunga and 54 others. Ngati Tahu-Ngati Whaoa later lost all land along the banks of the Waikato River due to takings under the Public Works Acts. The Native Land Court awarded Ngati Tahu-Ngati Whaoa approximately 150,000 hectares (370,000 acres) and 80% of these lands fall within the Waikato River catchment. The following time line details the land blocks awarded by the Native Land Court, which vested a mix of sole ownership, dominant ownership, and historical customary association to Ngati Tahu-Ngati Whaoa. Kaingaroa No.2 awarded back by the Native Land Court, vesting sole ownership to Ngati Tahu-Ngati Whaoa. Paeroa South awarded back by the Native Land Court, vesting sole ownership to Ngati Tahu-Ngati Whaoa. Tahorakuri awarded back by the Native Land Court, vesting sole ownership to Ngati Tahu-Ngati Whaoa in February 1887. Tauhara North awarded back by the Native Land Court, vesting sole ownership to Ngati Tahu-Ngati Whaoa in January 1869. Oruanui awarded by the Native Land Court vesting shared ownership (with neighbouring iwi) to Ngati Tahu-Ngati Whaoa in February 1878. Tutukau East awarded back by the Native Land Court, vesting sole ownership to Ngati Tahu-Ngati Whaoa in February 1886. Paeroa East awarded by the Native Land Court vesting dominant ownership to Ngati Tahu-Ngati Whaoa in July 1881. Rotomahana Parekarangi 3A awarded back by the Native Land Court, vesting sole ownership to Ngati Tahu-Ngati Whaoa in May 1882. Tutukau West, Tauri, Kaingaroa 1A, Hangihangi part Kaingaroa No.1, part Rotomahana Parekarangi 6A, part Tatua West, and part Tatua East are landblocks that Ngati Tahu-Ngati Whaoa have a historical customary association with.